Smile better and faster with this conservative smile enhancement! Kiss yellow and stained teeth goodbye. Have you noticed your teeth becoming duller or yellower over time? This is natural as you age. Stains from coffee, tea, soda, tobacco, and even some foods may begin to discolor the surfaces of your teeth. At Bawa Dentistry, our teeth whitening systems can reverse these signs in just a single one-hour visit or in the comforts of your own home! Teeth whitening is one of our most popular cosmetic dentistry solutions because of its noninvasive, affordable, and effective nature. You'll no longer have to feel self-conscious about your smile. Also be sure to check out our Holiday Teeth Whitening Survival Guide. And we're confident you will too. Our patients love how affordable our teeth whitening solutions are. It's one of the most economical cosmetic treatments to enhance your appearance and increase your confidence. Teeth whitening doesn't require invasive preparation of your teeth. With our in-office and take-home whitening solutions, you'll start seeing results almost right away. Our dentists use KöR Whitening, which makes your teeth simply whiter. It easily and effectively whitens your smile either in one appointment or in the comforts of your home. HOW DOES BAWA DENTISTRY WHITEN YOUR SMILE? Both of our Virginia dental offices use KöR Whitening. As dentists in Centreville and Manassas, VA, Drs. 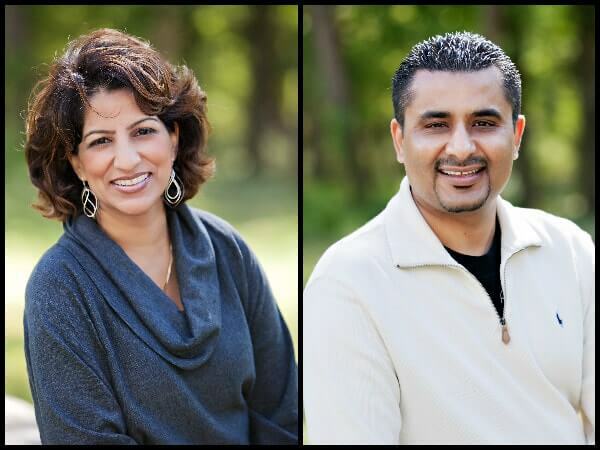 Anoop and Bobby Bawa are committed to using the best dental technology that dentistry has to offer. We chose KöR Whitening because of its fantastic system to get rid of even the most stubborn stains and erosions. If you want a bright smile fast, our in-office professional whitening solution is the best option for you. In just one appointment, we can brighten your smile up to eight shades. It's an excellent solution for patients with dark stains on their teeth. Prefer to whiten your smile in the comforts of home? You can achieve the same amazing results as our in-office professional teeth whitening with KöR take-home teeth whitening. You'll receive customized whitening trays where you can use the whitening agent at home and place it over your teeth. Dr. Bawa will give you instructions on how to use the teeth whitening product, and in a few weeks, your smile will look bright and beautiful. ‘‘I am very pleased with the husband and wife team, Bawa Dentistry. I get excellent dental care and advice from two highly experienced doctors. That's okay! We're here to answer them! Can't I just buy teeth whitening strips instead of professional whitening? There are many over-the-counter whitening products out there. However, you are limited on the results you want to achieve without professional whitening. 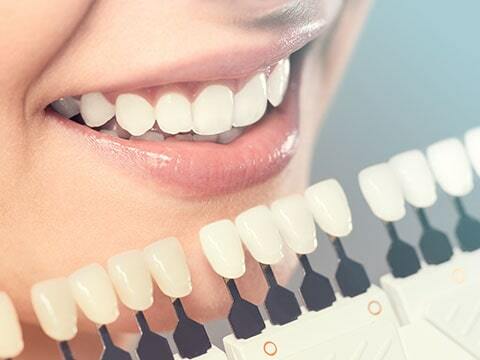 When you get whitening from a dentist, you're receiving top-of-the-line whitening products that are extremely effective to whiten your smile up to eight shades. With over-the-counter products, you may only notice 1-3 shades brighter on your teeth. Plus, it won't be custom matched. Professional whitening is designed to whiten every contour of your smile for consistent results. Still unsure what the right option is for you? Contact our Centreville or Manassas dental offices to schedule a consultation with our dentists. Will I experience tooth sensitivity? You may experience slight tooth sensitivity after the bleaching process, but the effects are temporary. KöR Whitening offers desensitization to help reverse the sensitivity. Is it going to affect my teeth in the long run? No. We feel very confident teeth whitening will not harm your teeth in the long run. If you're still unsure if whitening is the right cosmetic dentistry solution for you, call us for a complimentary consultation and we'd be happy to discuss your options. According to the American Dental Association, whitening is safe, but it’s best to discuss with your dentist first. Learn why teeth whitening is safe and what questions you can ask during your next visit with our dentists in Centreville and Manassas, VA. Does Bawa Dentistry offer other cosmetic dental services? Ready to Give Your Smile a Boost? Schedule a complimentary cosmetic consultation with Bawa Dentistry in either Centreville and Manassas, VA. We're proud to serve Northern Virginia, including Manassas, Centreville, Chantilly, Gainesville, Herndon, Reston, Clifton, Warrenton, and Bristol.